Becca Davis, and Nicola Noelle Buffa will co-create a space bringing sounds of the gong, crystal and alchemy singing bowls, drums, chimes, and singing, to the ears hearts and bodies of all attending.We will also integrate hands on Reiki touch healing during the session. Don’t forget to bring yoga mats to rest upon, blankets, pillows, and anything you wish to have in the space for extra comfort. We invite you to relax and find peace and serenity. Nicola Buffa is an Artist & Sound Healer who seeks to assist the natural Creative Spirit of our Collective Consciousness through the powerful transmutation of Sound. A daughter of Jazz Music and Art History, and has an educational background in Psychology, Art, and Communications. She has been studying Sound healing for the past three years in San Francisco, California. As a sound healer, she feels her life’s paths are converging: Her love of the human voice, a profound interest in human behavior and dream psychology, and her deep creativity as an artist and a performer. Drawing on all these interests she has opened her individualized practice, Source Field Sound, as a way to offer Upliftment on all levels through the Mind-Body medicine of Sound Healing. Her sound treatments incorporate Color Therapy, Healing Voice, and Guided Meditation in combination with pure-tone instruments: Alchemical Crystal Bowls, and Color Frequency Tuning Forks. She believes that with the gentle adjustments and transmutations from sound therapy, we can return ourselves to our true state of being; Creative and Joyful. We require a $10 fee to reserve your spot. The fee will be refunded after you attend the workshop, or can be donated to the instructor. The word Sigil means, a symbol imbued with magical power or meaning. In this workshop we will learn how to draw our own sigils for use in meditation. We will first identify our own positive affirmations that we would like to manifest, with discussion around the power of setting intentions, and choosing our affirmations carefully. Each participant will have time to reflect and choose an affirmation. My intention is to share the skill of creating sigils in a drawing practice that values healthful mindfulness practices, as well as create a group meditation activity that is restorative and empowering. People are advised to bring a Meditation Cushion, or Pillow for the Seated Meditation. Join us for a talk by one of Three Stone Hearth’s co founders, Jessica Prentice, about the wisdom of ancestral diets and how it inspired TSH’s approach to food, community and the environment. Enjoy the Bone Broth Bar with Brine Shots (sauerkraut brine) before and/or after Jessica’s talk. 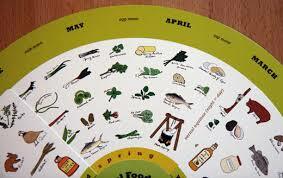 Merchandise will be available: the Local Foods Wheel, shelf-stable TSH foods, like the Paleo Crunch, and publishings. 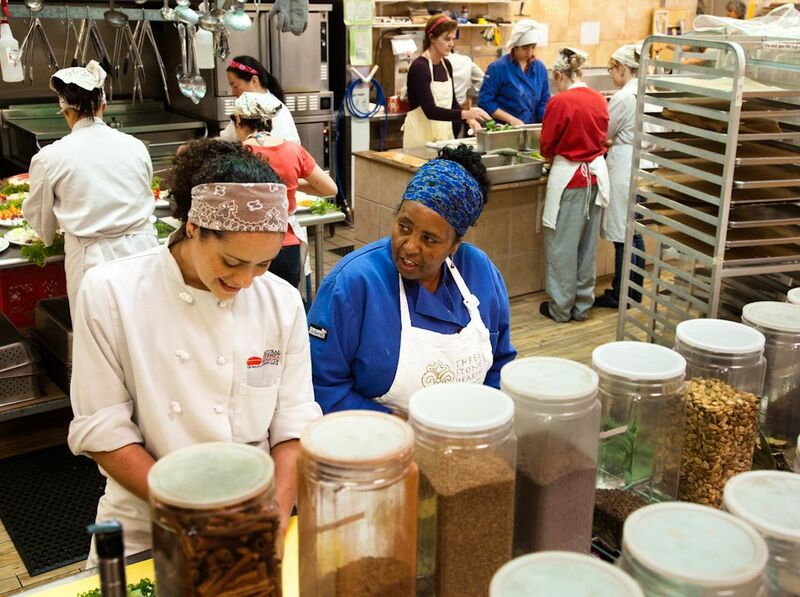 Jessica Prentice, co-founder of Three Stone Hearth, is an avid student and teacher of traditional dietary wisdom. 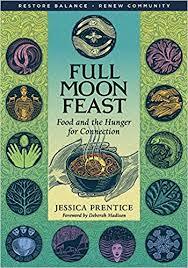 She is the author of Full Moon Feast: Food and the Hunger for Connection (Chelsea Green), co-creator of the Local Foods Wheel, and coined the term “locavore.” Jessica has spoken at EcoFarm, Bioneers, the National Heirloom Exposition and many other food and environmental gatherings. 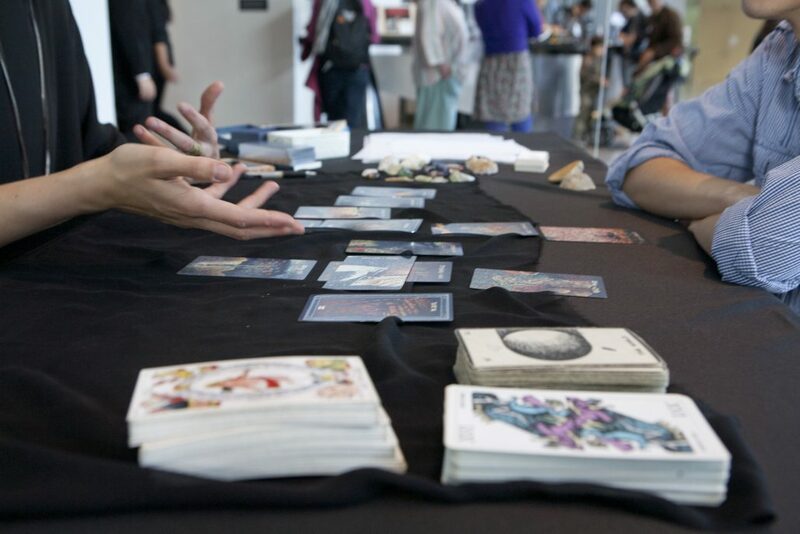 Through a basic tarot reading, this workshop will prepare people to start the process of writing an Advance Directive. End-of-Life planning, especially completing an Advance Directive, is important for everyone, no matter their age or health. This process, however, is daunting to many people. Preparing for death can raise fears and anxieties related to both the process of dying itself and the ways that we have lived. The tarot, as a symbolic language, can help us access our subconscious fears and desires, ultimately re-configuring these to tell a new story. Tarot can be a powerful tool in approaching death, and can act as a guide through difficult conversations about death. I earned an MFA in interdisciplinary art from California College of the Arts in 2013 where my practice primarily consisted of community-based art projects. While in graduate school, many of my projects engaged with issues surrounding aging and death. Since finishing my MFA, I have worked as an Activities Assistant and Teaching Artist in Memory Care, Assisted Living, and Skilled Nursing communities; currently I am the Director of the Performing Arts Institute at Stagebridge, a national pioneer in Creative Aging. I have also completed a training through INELDA (International End-of-Life Doula Association) to become an end-of-life doula, and am a volunteer with Compassion & Choices, an organization that educates people about their options at end-of-life. I have been reading tarot for almost 20 years, and have read publicly at YBCA, Kadist, Store Front Labs, and other venues in the Bay Area. Learn about your mind-body type, what colors are most supportive for you and how to use color in your daily life and environment to increase well being. Color in Ayurveda is recommended according to the individual mind-body type and to remedy current imbalances. Typically this means using opposites. If a person has a problem of a hot nature such as a inflammatory condition, cooling colors are called for. An anxious individual who suffers from insomnia and loneliness would benefit from earthy colors that help to ground their energy. A depressed person that is unmotivated may need more stimulating colors. The application of therapeutic color can include food, clothing, essential oils, gem stones and more. In Vastu (Indian Feng Shui) color is used to balance a living or business space. According to Vastu, the five elements and the color associated with each element are most supportive when placed appropriately. For example, fire (red) in the SE is ideal for a kitchen. Of course that is not always possible in existing homes and it depends upon the use of the room in terms of how much of a particular color is appropriate. Just a dash of the right color in artwork and symbology or an accessory can be sufficient to strengthen the element and balance the energy. Nourish Your Body with Lila Volkas will explore the basics of holistic nutrition and cover tips on how to support healthy digestion. This holistic nutrition workshop is a fun and accessible way to deepening your relationship with your digestion and learn about foods that will nourish you from the inside out. Healthy snacks and recipes will be provided! 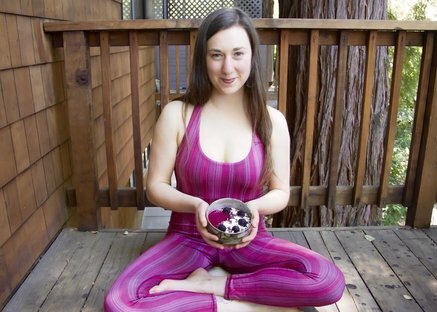 I am Lila, a Holistic Nutritionist, food writer and illustrator based in Berkeley, California. My goal is to help my clients, workshop attendees and readers deepen their relationship with the food they eat. As a Holistic Nutritionist, I offer individualized nutritional support, so my clients can make the best choices for the health and happiness of their entire being. I also explore the various edible ways we can nourish ourselves though my freelance food writing. My articles are often accompanied by illustrations that capture the essence of everything from a turnip to the process of digestion with clean and whimsical lines. Much of my inspiration comes from my tremendous love for vegetables, as well as my knack for anthropomorphizing what I eat. I received my Holistic Nutrition training from Bauman College in Berkeley. 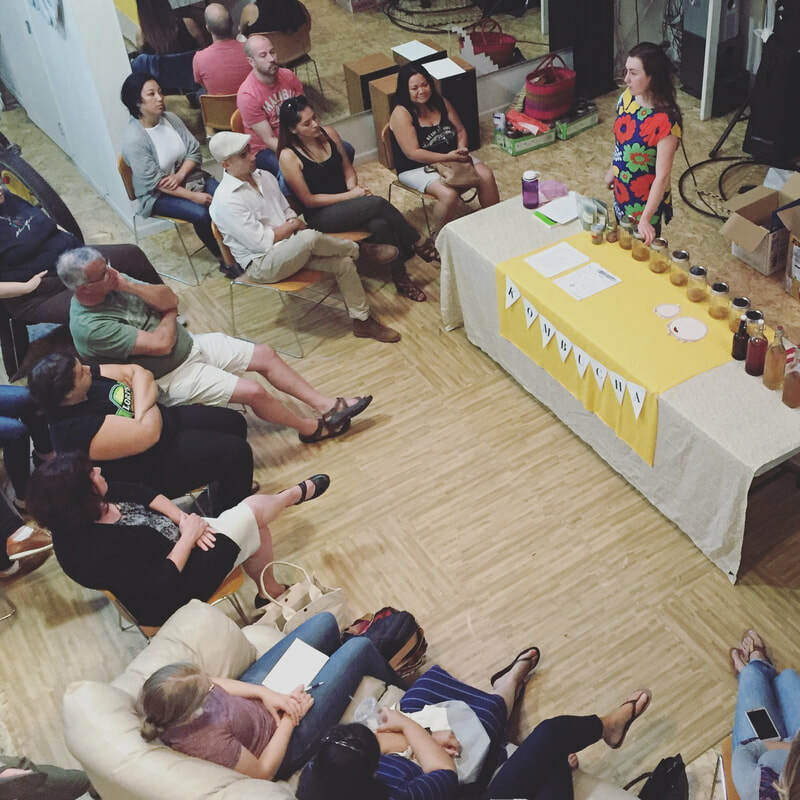 I also have experience facilitating workshops as I have been teaching kombucha brewing workshops (and other food related workshops) around the Bay Area for the last 4 years.